Sometimes, no matter how much you wait for something miraculous to happen, it never does. Then there are times like these. This couple’s story of love and devotion is nothing short of breathtaking; however, it is still very much an uphill battle. Danielle and her husband Matt Davis were just married back in 2011. It was only the beginning of their life together when Matt was in a horrible motorcycle accident in which he suffered an extensive brain injury. His long-term memory before the accident was essentially gone, and he was in a coma his doctors were quite certain he’d never wake from. But his wife refused to give up on him. Matt’s doctors continued to suggest Danielle take him off life support, saying things like, “it’s what we’d want our families to do if it were us.” However, Danielle would not be persuaded. 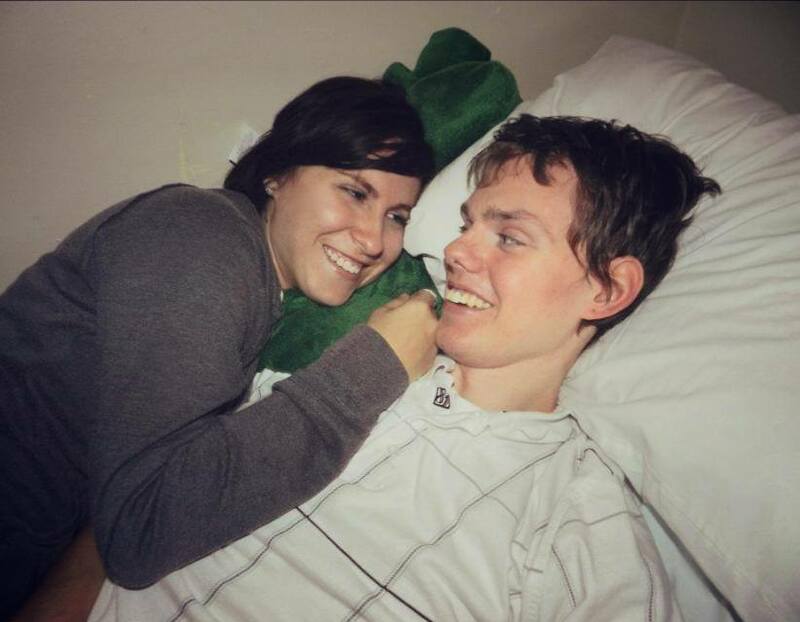 She spent the next three months caring for Matt in every way — from cleaning him, to turning him over so he wouldn’t get bed sores, to administering his 20 daily meds. She began Facebook and GoFundMe pages to update concerned parties on Matt’s progress. Then came the amazing moment where Matt spoke for the first time after doctors said he’d never wake up. “We noticed he was trying to talk, more like whisper and I put his hat in his hand, told him to put it on his head. After telling him multiple times he gasps out, “I’m trying!” It was the greatest thing I’ve ever heard!” Danielle wrote on her GoFundMe. The next three years were all about rehabilitation for Matt and Danielle. She set up another GoFundMe account to help offset the physical therapy and medical costs that their insurance wouldn’t cover, and continued to post news and photos about Matt’s astonishing recovery. However, he still has no memory of his life before the accident, which includes his entire relationship with his number one support system — his wife Danielle. But Danielle continues to search for the positive rather than focus on the negative. In a recent post she wrote, “He still struggles with memory from before the accident. Our relationship, our wedding day, all of that is gone but his new short term memory is outstanding!” If that’s not the definition of unfailing support, I don’t know what is.